Interview reproduced from Science Transparency. 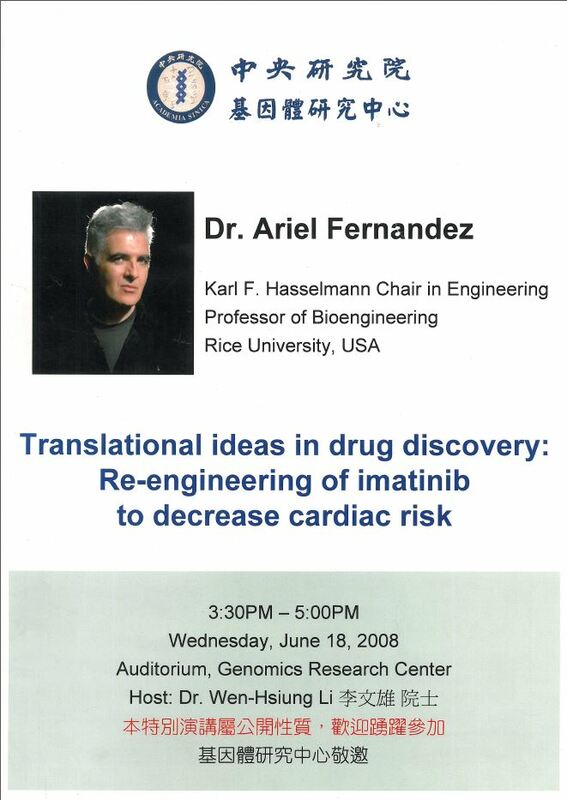 Ariel Fernandez (also styled as Ariel Fernandez Stigliano) is a physical chemist and mathematician and the former Karl F. Hasselmann Endowed Chair Professor of Bioengineering at Rice University. He got his Ph. D. in record time from Yale University under the guidance of Oktay Sinanoglu (who recently passed away according to Yale News). Completed in less than two and a half years, Ariel Fernandez’ doctorate is believed to be one of the fastest awarded by Yale in its 300 years history. His recent publications place him at the center of a veritable biotechnological transformation that we may term “dehydronic chemistry”. This interview seeks to assess the significance of protein dehydrons (the structural defects that Ariel Fernandez discovered at the University of Chicago) for enzymatic catalysis (Yahoo News, MarketWatch/Dow Jones & Co.). At the time when dehydrons were discovered, Peter Rossky, then the Marvin K. Collie-Welch Regents Chair in Chemistry at the University of Texas, Austin had this to say about the discovery to the University of Chicago News Office: “It’s a very radical way of thinking”. The dehydron concept itself dates back to collaborative work between Ariel Fernandez and Harold Scheraga, published in the Proceedings of the National Academy of Sciences USA and work with L. Ridgway Scott, published in Physical Review Letters. Ultimately these concepts were translated by Ariel Fernandez and colleagues from M. D. Anderson Cancer Center into drug-based therapeutic agents with high specificity, as outlined in the patent “Mehods and Compositions Related to the Wrapping of Dehydrons” US 8,466,154. More recently, in another translation of the dehydron concept, Arie Fernandez and the eminent cardiologist Richard L. Moss invented a drug-based treatment for heart failure. The picture on display in the cover corresponds to Fig. 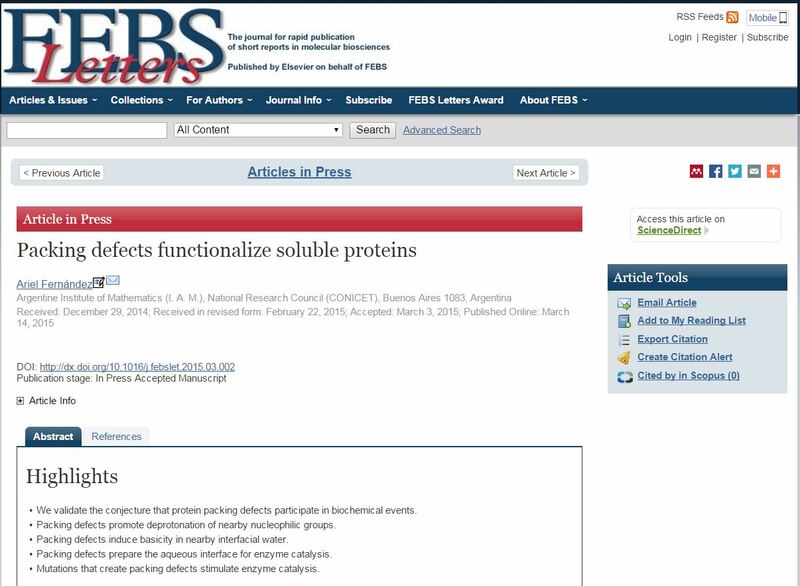 3 in Ariel Fernandez (2015) Packing defects functionalize soluble proteins. 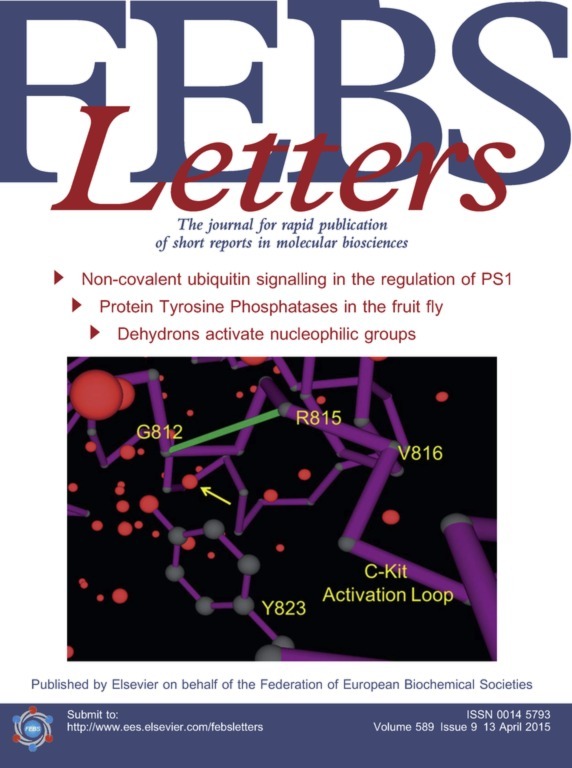 FEBS Letters 589:967-973. WM: Almost every physical chemist and even people in related and distant disciplines is familiar with your name and with the dehydron concept. Yet, your name is coming up a lot more frequently lately, as attested by anyone who attended the Biophysical Society meeting and its Chinese counterpart (see your recent profile in Baidu Encyclopedia). What have you been up to that seems to be eliciting so much attention? Ariel Fernandez: If you open any book on Biological Chemistry and examine those enzymatic reactions you will be left with a certain discomfort. You feel that something is not quite right. The reactants do not behave exactly as you were told they would. Most such reactions involve trans-esterifications that require nucleophilic attacks. These reactions are unthinkable if the chemical participants would be in the bulk. You are then told that the enzyme is “special” and that it offers a special environment conducive to the reaction. But, what exactly is this special environment? What’s so special about it? That is the question I have addressed and the answer lies in the examination of the patterns of structural defects adjacent to the catalytic site. To put it bluntly, enzyme catalysis is often viewed as a closed chapter in biochemistry or biophysics, where all the core issues have been essentially dealt with. Yet, problems related to the catalytic involvement of nano-structural features still hamper progress in the mechanistic understanding, and design of enzyme catalysts and inhibitors. Germane to these problems is the catalytic role of interfacial water confined by the nanoscale topography of the protein surface. That is exactly where I have now made substantive progress (I hope I got the story right). If I am right, much of the mechanistic literature on biochemical reactions would need to be rewritten, as the examples in my recent publication demonstrate. Here you will find a voice presentation promoted at Elsevier, where I strive to get the point across. WM: Are you saying those “defects” in the protein structure do more than shaping the active site? WM: How can structural defects become reactants? I am somewhat familiar with heterogeneous catalysis in inorganic chemistry, where lattice defects in the crystal become crucial, but I guess you are referring to soluble proteins, quite another matter. Ariel Fernandez: Yes, but there is a certain analogy. Dehydrons are ubiquitous at the active or catalytic site and intervene in the related enzymatic reactions by functionalizing the nano-confined interfacial water around them, locally inducing basicity at the interface. I have already conjectured this in a recent Communication and now proved it in a Letter. WM: Sorry, now I am really confused. Why would the dehydron-promoted basicity enhance or even enable the enzymatic reaction? Ariel Fernandez: Because the protein aqueous interface is essentially sculpted by the protein structure. The problem may be said to belong to the field of epistructural biology as I have outlined in my recent work. In this realm, one structural feature stands out: the so-called dehydron, a nanoscale defect that creates interfacial tension and thereby promotes protein associations. Dehydrons are backbone hydrogen bonds exposed to water due to nanoscale defects in the structure packing. Besides promoting dehydration, dehydrons also have a biochemical role that is proving to be exquisitely complementary: they turn nano-confined interfacial water into a chemical base, a proton acceptor. Thus, a dehydron in the proximity of a catalytic group purported to perform a nucleophilic attack enhances the catalytic potential of the latter through a chemical functionalization of vicinal water. These two properties, combined with the fact that catalytic sites are invariably “decorated” with dehydrons, suggest a dual participation of dehydrons in catalysis: first, dehydrons prepare the solvent for enzyme activity and, after enhancing the enzyme nucleophilicity and turning the solvent into a better leaving group, dehydrons promote enzyme-substrate association in consonance with their dehydration propensity. This functional duality makes dehydrons both enablers and stimulators of enzyme catalysis. As you can surmise, this is an observation with paramount nano-biotechnological implications, especially in regards to what we may term “epistructure-based enzyme design”. WM: There is of course structure-based enzyme design, people like Steve Mayo come to mind. Are you now proposing then “epistructure-based design”? On exactly what grounds? Ariel Fernandez: Well, look at it this way: As dehydrons activate nearby catalytic groups to perform a chemical (nucleophilic) attack on the substrate, causing trans-esterification, they turn the nano-confined water into hydronium (H3O+, the product of proton acceptance). In turn, since the hydronium requires full hydration, it is easily removed from the active, thereby enabling enzyme-substrate association. This kind of dehydron-driven association is known as “wrapping”, and entails a thermodynamically favorable intermolecular “correction” of the structural defect. Thus, the dehydron may be regarded as a two-stroke molecular engine that promotes and sustains enzyme catalysis. WM: Dehydrons promote protein associations, you are now saying they also have a chemical role and that both roles are complementary and essential to catalysis? Is that it? Ariel Fernandez: Basically, yeah. This discovery may herald novel biomolecular design based on “dehydron enablers-stimulators”. These features may be created or removed though engineered mutations directed at fine-tuning the topography of the protein surface. In this way, we envision the possibility to activate or silence a catalytic site in a protein enzyme by respectively creating or annihilating its nearby dehydrons. On the other hand, novel drug-based enzyme inhibitors will emerge as dehydron agonists are targeted (wrapped) through engineered protein-drug associations. These possibilities were anticipated in my first book “Transformative Concepts for Drug Design: Target Wrapping” [here reviewed at Rice University]. 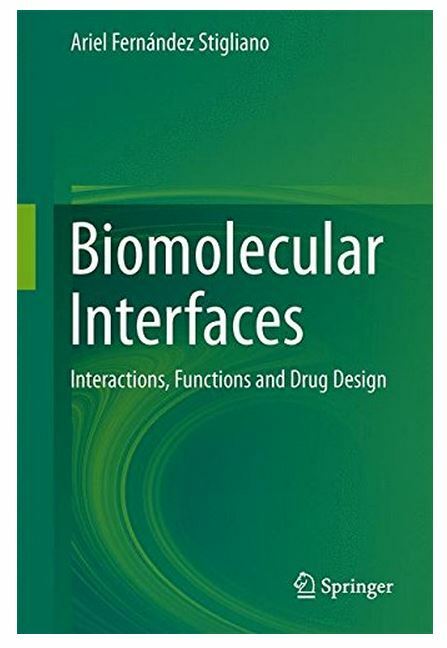 They have been much further developed in my second book “Biomolecular Interfaces: Interactions, Functions and Drug Design” (foreword by Richard Moss, individual chapters here). My latest book is in a sense a modern development of some work that I did back in my days at Yale jointly with my advisor Oktay Sinanoglu, a peerless genius who recently passed away. 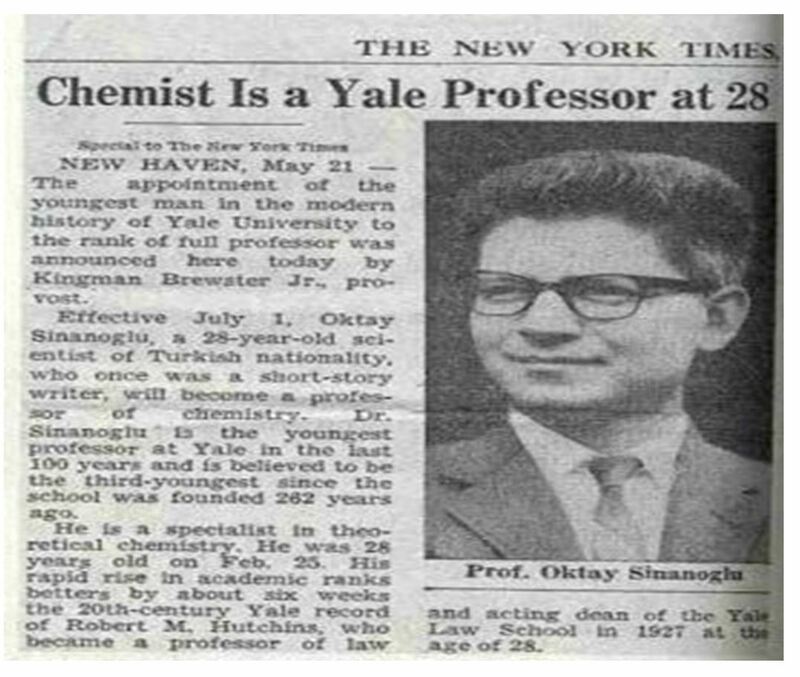 Oktay Sinanoglu became the youngest full professor at Yale in its modern history, I believe. 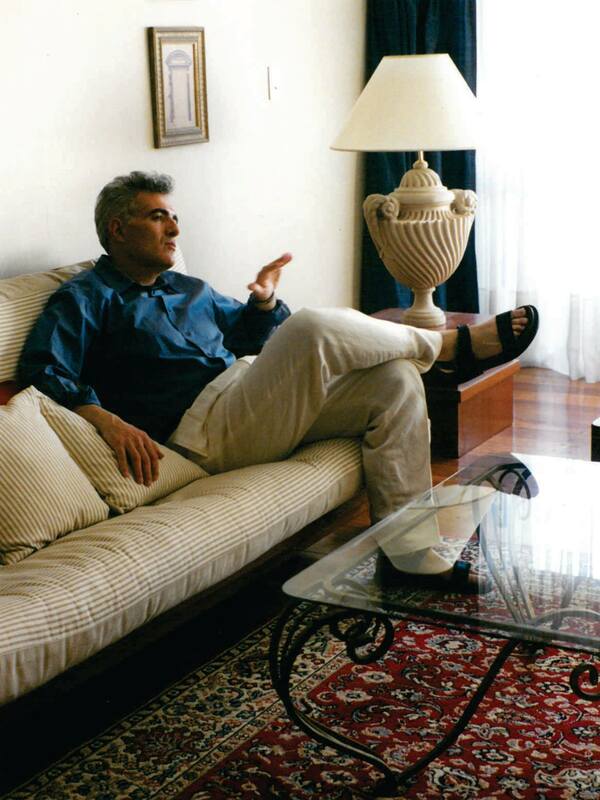 Picture from the Obituary for Oktay Sinanoglu by Ariel Fernandez published in Physics Today. WM: I see, we could now envision novel molecular designs inspired by the “epistructural catalytic stimulation”. Ariel Fernandez: Precisely! and this “epistructural stimulation” will foreshadow a generation of nanoscale-optimized enzyme catalysts and pharmaceuticals. “The first generation of kinase-inhibitory drugs such as imatinib and sunitinib have already provided patients with life-saving therapeutic options, and with tools such as those described by Fernández et al., the future certainly looks bright for constructing ever-better agents that can be combined safely and effectively to manage, and eventually cure, many forms of human cancer”. These seminal advances are further enriched in his recent work with a description of novel molecular design concepts that enable us to therapeutically disrupt protein-protein interfaces. This problem is considered to be a holy grail of molecular targeted therapy. Therapeutic opportunities stem from the design concepts of Ariel Fernandez. One illustration is provided in the potential treatment of heart failure by disrupting a myosin association with a myosin-regulatory protein, an invention with a pending patent by Richard Moss and Ariel Fernandez. 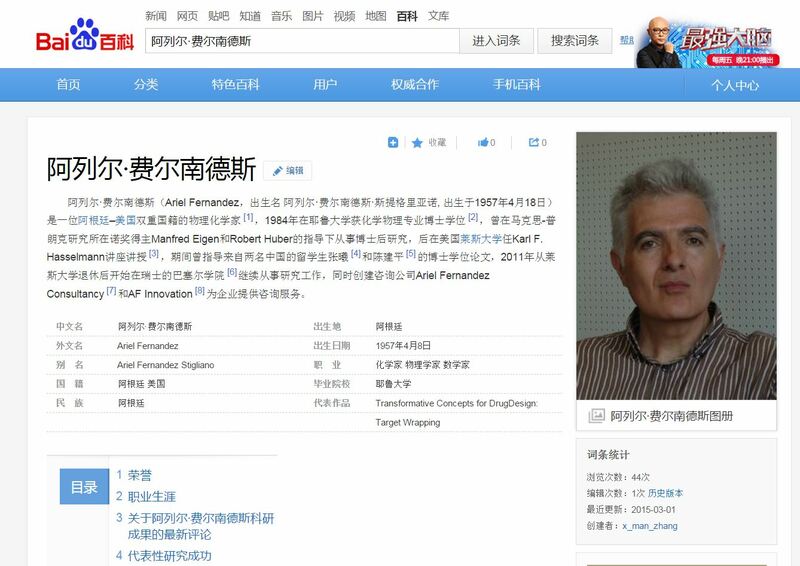 The work of Ariel Fernandez introduces considerable conceptual novelty rooted in fundamental knowledge that needs to find its way into the pharmaceutical discovery and development pipeline, in particular in the hit-to-lead and lead optimization phases. Paraphrasing George Demetri we conclude that the approach by Fernández and coworkers holds great promise for customized development of rationally designed therapeutic agents. Posted in Argentina, Argentine Science, Ariel Fernandez, Ariel Fernandez Stigliano, Biological Interfaces, Biological Water, Biophysics, Buenos Aires, CONICET, Dehydrons, Drug Discovery, Enzyme, Enzyme catalysis, George Demetri, Interfacial Tension, Pharmaceutical Industry, Pharmaceutics, Protein Associations, Rice University, Science blogs, Science publishing, Scientific Research, Structural biology, Thomas Force, Water matrix, Water structure, Wrapping Technology.Tagged Ariel Fernandez, Ariel Fernandez Stigliano, Catalytic Dehydron, dehydron, enzyme catalysis, Structural defects.